Today I am taking a rest from working on my goal. It has been a while since I posted a blog. Sometimes life gets in the way and priorities emerge that have to been focused on. I have found it very difficult to spend much time working on a computer since November 25th when I had an eye operation. At an early stage during my recuperation I decided that it was now time to commit to one of my main goals, that of finally writing a book. What if I had gone fully blind? What chance would I then have to achieve this incredibly important dream of mine? Was I prepared to one day look back over my life and live in regret that I never found the time to follow through on my goal? No I wasn’t. Out of all the things I want to do, this is the one that probably would mean the most. It certainly is the one I hold closest to my heart. There is a book within me, and now is the time to bring it out of me, knowing my passion will bring payback. Although writing requires an enormous amount of discipline, perseverance and concentration, it is something I love to do. Ever since I started my blog over at www.healthylifestylesliving.com I’ve grown to love it more and more. The power of what my words can do is what excites me and keeps me going. If my story and the knowledge that I share only touches one person then I have achieved my goal. I will have left my mark upon the world having made the difference. That drives me on knowing that writing produces words that change people’s lives. What an incredible motivation, to inspire and educate, to change lives as well as providing the ability to profit from my writing and passion, the principle behind passion will bring payback. One of my friends has mentioned a book I read a while ago. New York Times best-selling author Tim Ferriss and The 4 hour Work Week, a book that teaches you how to escape the 9-5 lifestyle. As I was sticking to the instructions of my surgeon and lying on my side for 50 minutes every hour, something I had to do for nearly a month to ensure my eye’s recovery, I decided to listen to the audio version of the book. Having listened to this for a few hours I turned it off and my mind started to think about the story of how Tim Ferriss got to the point of being a bestselling author and sought after speaker. After running BrainQuicken for a couple of years, he was bringing home a good income and working nonstop seven days a week. He realized it was making him miserable and needed to make a change. He started with a plan to spend four weeks in Europe to clear his head and wound up traveling the world for 15 months leaving the day to day operation of his business to others. His business continued to thrive without him. When he returned, he kept the company on autopilot and started the process of writing about how he had managed to take back his life. At last he could concentrate on his remarkable goal of becoming a published author. Firstly my writing has just flown from me and although I am limiting myself to 4 hours a day on the computer I have written at least 50 percent of it. Secondly having focused on writing a book and not on my online business I suddenly found I had created something that would be hugely successful on line and easy to launch, that would provide the means for one of my other major goals, to make the difference. Watch out for my One Page Life Plan – Goal setting made easy. Sadly I haven’t been able to blog as frequently as I’d like but we have to have priorities and commit to our remarkable goal. That’s exactly what I’ve done. And I would recommend anyone to follow their passions. Why would someone follow their passion? Easily answered, they’re fed up with doing a job they hate. If you’re stuck in a job you hate, you’re not alone. In fact, an astounding 80% of people are dissatisfied with their jobs. Yet so few take the time to figure out what they want to do with their life. Others know but fear the outcome of walking away from their job to follow their path to passion. The New Year is still pretty new although the first month is about to come to an end. Many of you have created New Year’s resolutions, but how many of you have decided to create a life you’re happy with. A real significant goal, one that can change your life, will require sacrifice and extra effort. Whether you are an entrepreneur, student, parent, teacher, carer, employer; or housewife following your passion and creating something from it, like a book, an online course, or whatever it may be, will create courage, energy and optimism to propel you forward. It’s not going to be easy. As a wannabee author there are times when the words flow seamlessly as my fingers glide across the keyboard. Other times, no matter hard I try, the words won’t come. But I have a dream that will make me carry on till I succeed. To profit from my writing, creating that best-selling book that sells a gazillion copies. When I closed down my ecommerce stores so I could concentrate on becoming a writer, producing that book that I felt was within me, most people I knew, thought I was nuts. Maybe I’m crazy, yes even nuts, but it’s just the way my brain works. It tells me that no matter how hard the world pushes against me, within me, there’s something stronger , something better, pushing back, telling me to write that absolutely brilliant book just waiting for me to create it. I have a plan and a purpose. I am thoroughly convinced of one thing — if you do what you love, happiness and a better life will follow. You will find your way to financial security because once you organize your work and your life around this formula Purpose + Passion + Planning + Action = Payback time, you’ll just know within that success is not some far out, wishy-washy dream. It’s the natural result of consistently doing the right things in the right way at the right time. I believe that passion can be profitable. 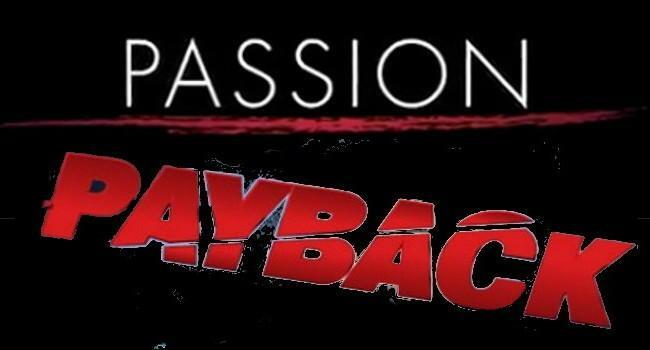 You can have passion with payback. My dream is to write and publish books that change lives. The payback will extend far further than just the pay check, it will also bring happiness, contentment, fulfilment, connections and pride. I believe that passion makes it far easier to navigate the hurdles that come between you and success. If you do love what you do — you’re more likely to do it with passion, to put all of your energy into it, to stick to it longer than you would doing something you don’t enjoy. To see it through to the winning line. My blogging is an example. I didn’t start blogging so that I could make money. I did it because I love it. And I still do, and I still blog with passion. However, I’ve been lucky enough to be able to make a living doing what I love and writing my book just extends this passion to the next level. I also love how it enables me to inspire, educate, and impact. There is a real fulfilment and joy in that. So be honest with yourself, what’s your passion that you could be earning a payback with? I would love you to share this in a comment. I have just recently decided too follow my passion and start blogging. Yes, I can associate with the response of other people when you announce what you are going to do. But my question is this; what will I be able to show, what will bring me fulfillment, if I continue to live according to what I think other people expect of me? I will only really be able to contribute to society when I give expression to who I really am!